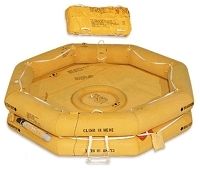 The T36 life raft is a self-inflating life raft intended for use by aircraft crew members and passengers during overwater emergencies and are designed to provide safe, rapid and reliable means for aircraft egress in case of such an emergency. When deployed and in water, the T36 may be boarded on either side. Raft accessories are contained in an accessories case tied to raft using a 5 (five) foot (1.52 meter) case tie line. Accessories case is pulled onto raft by occupants subsequent to boarding. 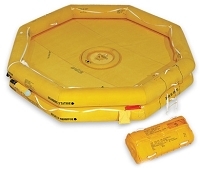 The fabric deck is equipped with an inflatable center float to provide additional flotation support. 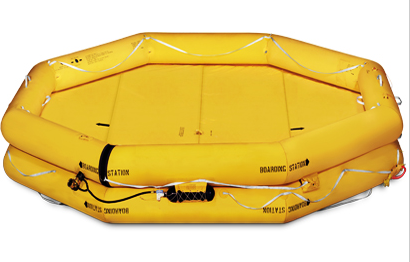 Center float is to be inflated by occupants subsequent to boarding using the hand pump supplied with raft equipment. 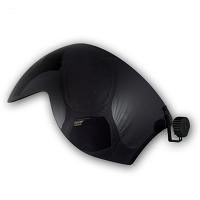 Raft canopy, located inside accessories case, features two (2) roll-up doors and a rain water collector in the top of the roof panel.